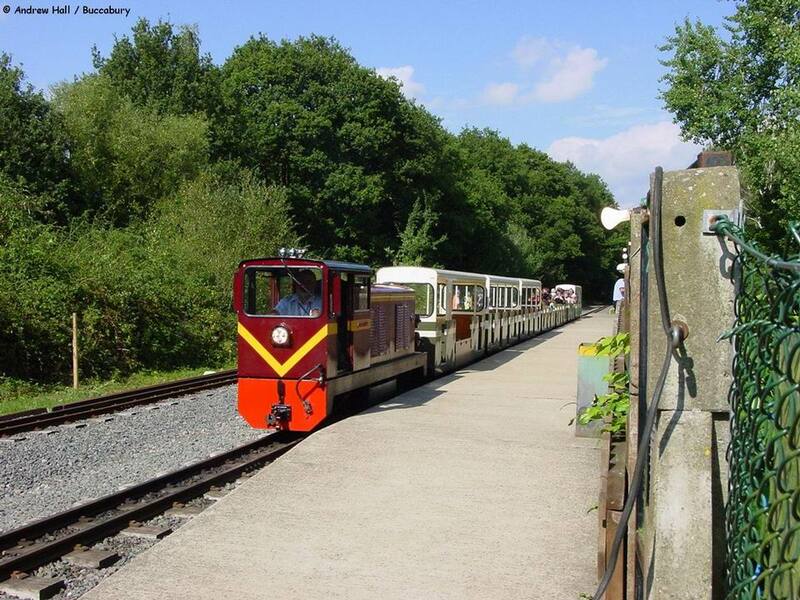 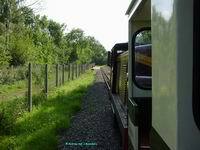 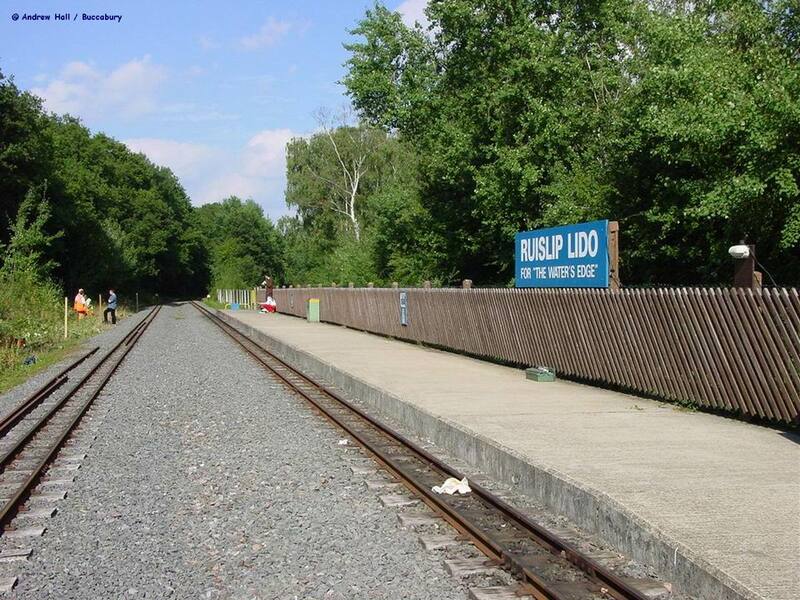 Ruislip Lido Railway - Ruislip Lido (Water's Edge) Station. An empty Water's Edge Station (except for volunteers cutting back the vegetation). 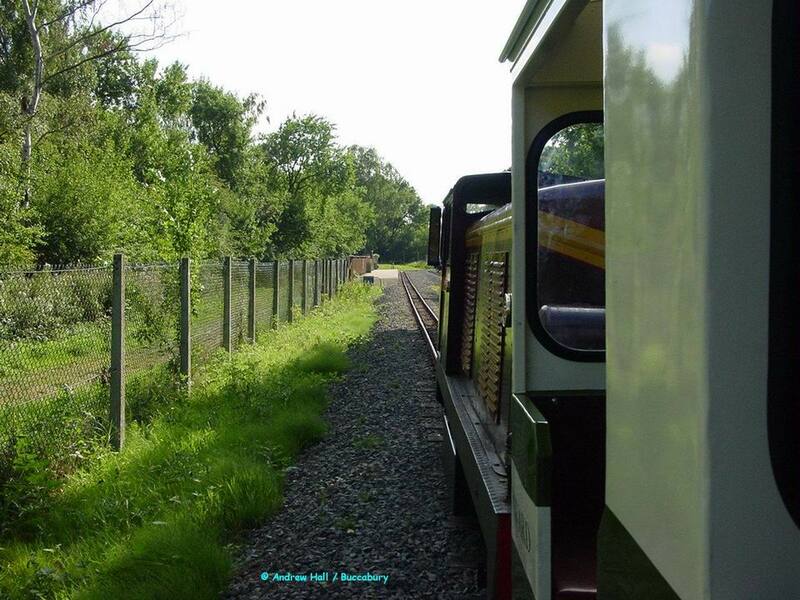 Ravenglass built "Lady of the Lake"
"Lady of the Lake" returning to Water's Edge, from the train. 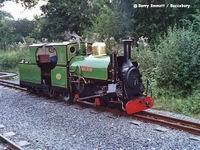 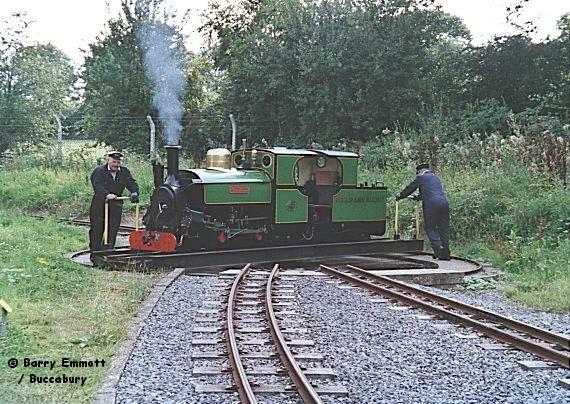 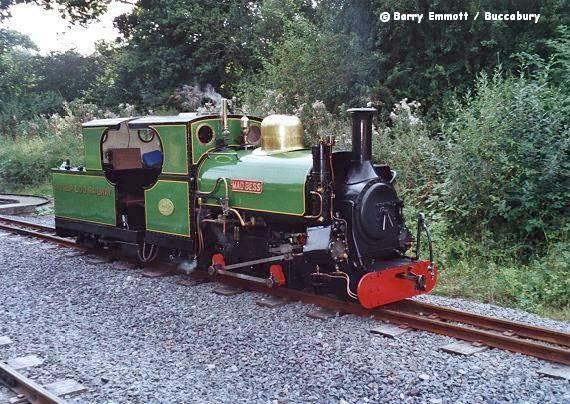 Ruislip Lido's Steam Engine "Mad Bess" being turned on the Watersedge turntable.